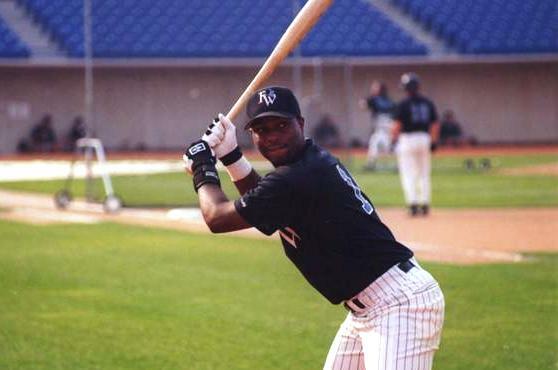 Torii Hunter played with the Fort Wayne Wizards in 1994. Former Fort Wayne Wizards outfielder Torii Hunter announced his retirement Monday night, ending his playing career after 19 seasons in the major leagues. The five-time All-Star won nine Gold Glove Awards during that time. Hunter played for the Wizards one year after LaTroy Hawkins did. Hawkins went 15-5 with a 2.06 ERA, 179 strikeouts and 41 walks in 157.1 IP for the 1993 Wizards. He pitched four complete games, including three shutouts, and gave up only five home runs. Hawkins previously announced his decision to retire after the 2015 season. He played for 11 different teams during his 21-year MLB career. He ended with the Toronto Blue Jays, who were knocked out of the playoffs by the Kansas City Royals in the American League Championship Series. 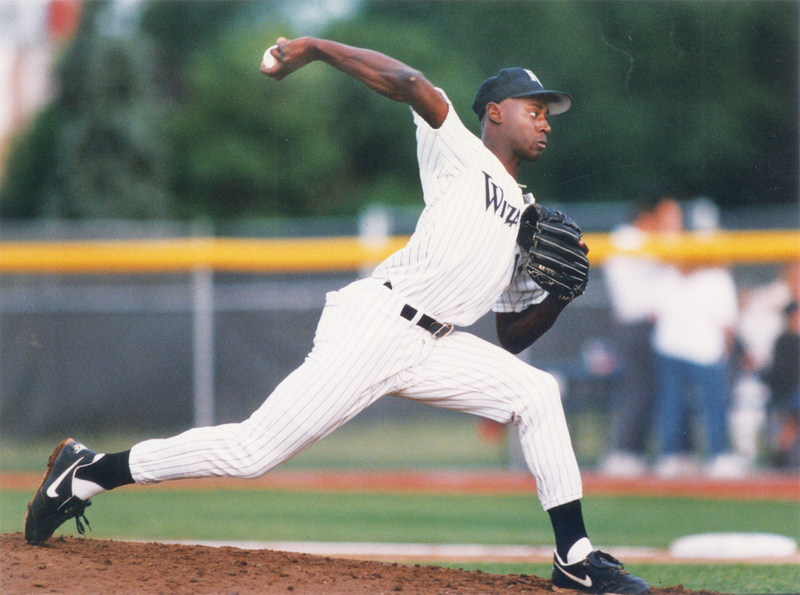 LaTroy Hawkins pitched for the Fort Wayne Wizards in 1993. Fort Wayne was affiliated with the Minnesota Twins from 1993 to 1998, and has been part of the San Diego Padres organization since 1999. Now that Hunter and Hawkins have retired, A.J. Pierzynski and Michael Cuddyer are the only active players left from Fort Wayne’s Twins era. Pierzynski batted .280 with 9 HR and 84 RBI in 136 games with the 1995-96 Wizards. The longtime catcher played for the Atlanta Braves this year and is eligible for free agency this offseason. Cuddyer batted .276 with 12 HR, 81 RBI and 16 SB in 129 games with the 1998 Wizards. The outfielder/first baseman currently plays for the New York Mets, who face the Royals in the World Series starting tonight. He is signed through the 2016 season. * Photos from the Fort Wayne TinCaps blog, Holding Down the Fort. This entry was posted in Fort Wayne TinCaps, Gold Glove Awards, Midwest League. Bookmark the permalink.